Katy was rescued by Ann Johnston off of a feedlot in Texas. She was emaciated with a foal at her side. Sadly, the baby perished while in quarantine and Katy arrived here starved and depressed. She is a standard donkey. unknown age but younger. 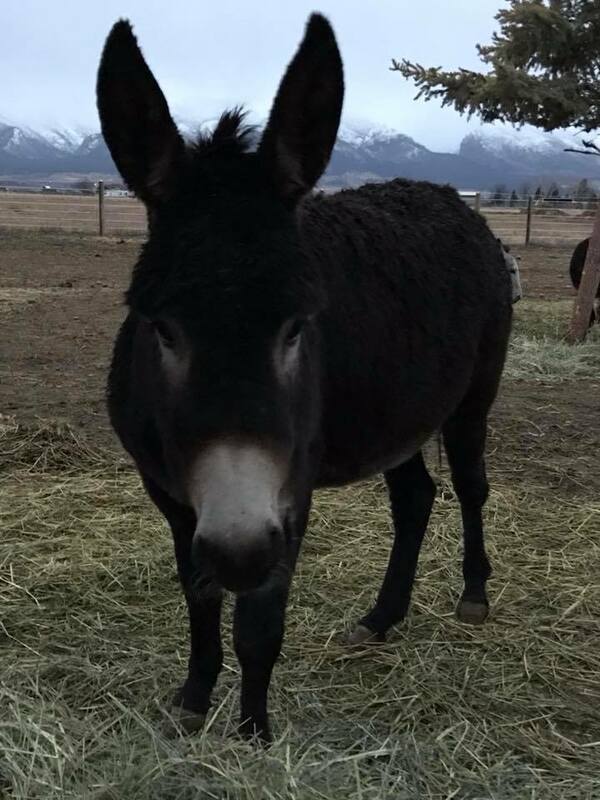 She is very affectionate and looking for a home with an existing donkey or willing to adopt a second donkey. Donkeys love their own kind.